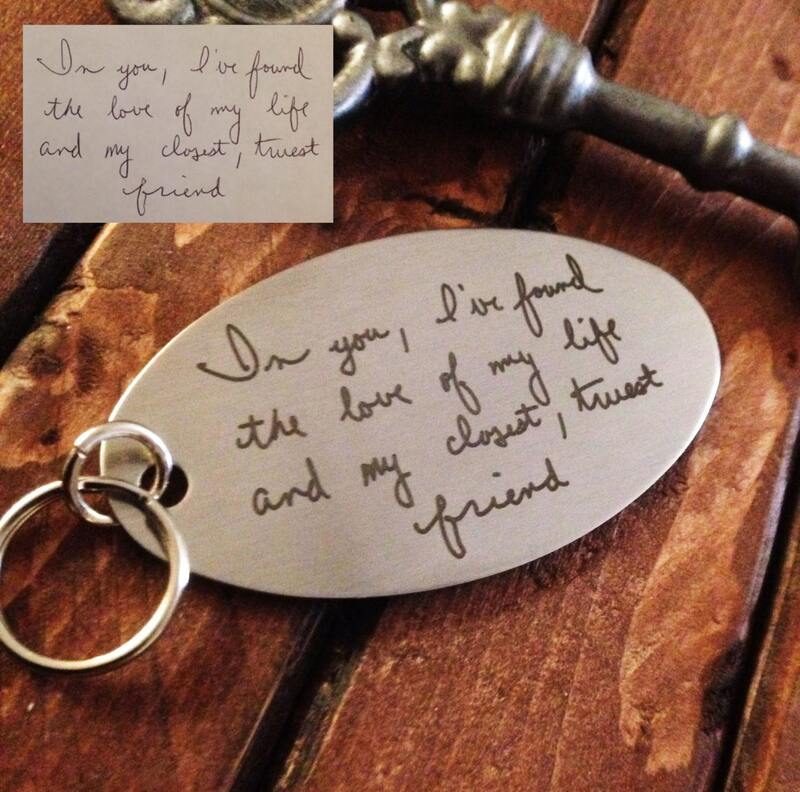 You can't get any more personal than using a loved one's handwriting. 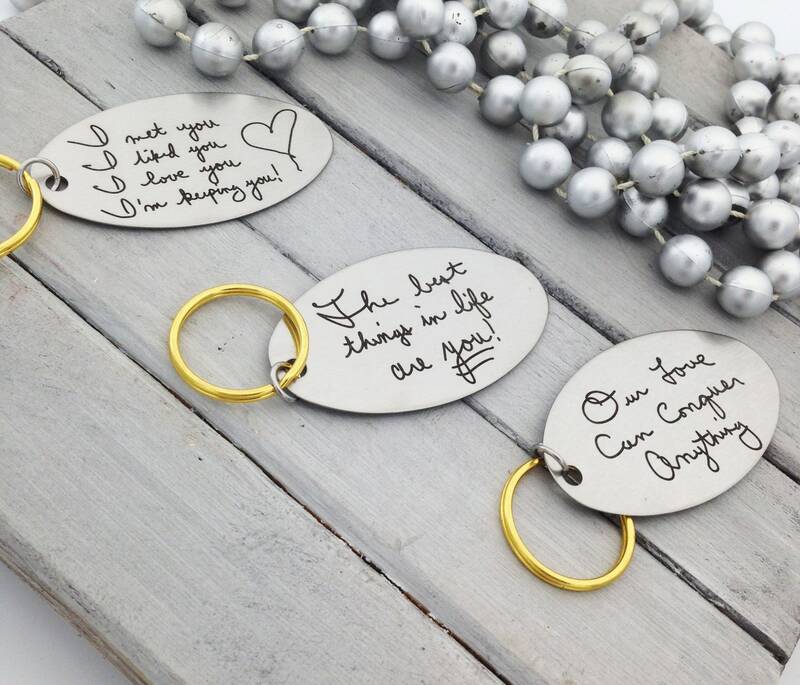 Keep their presence near and carry them with you always with a handwritten keychain. 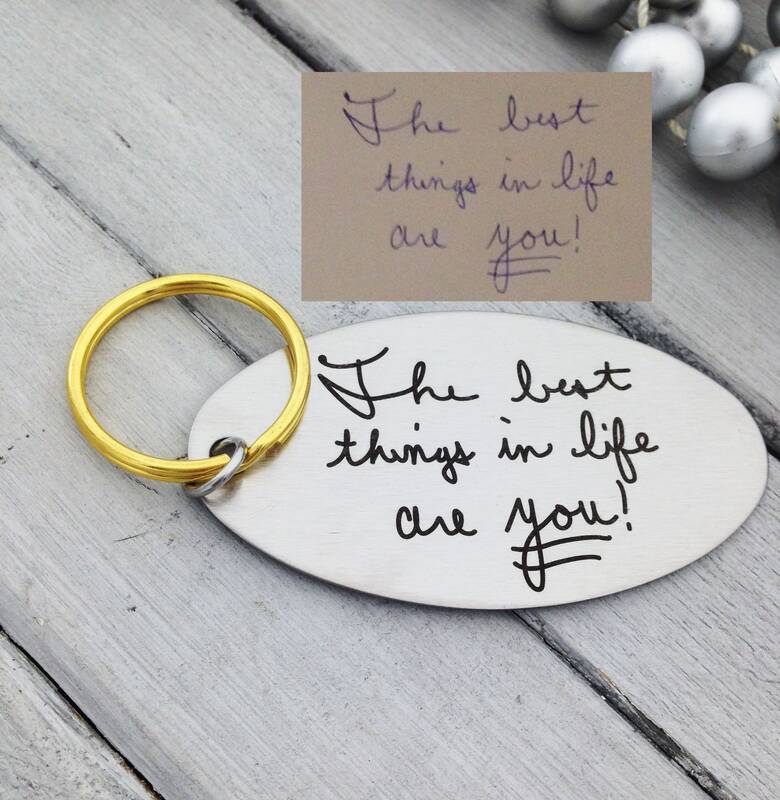 Crisp, clean lines, beautifully engraved on a stainless steal oval. 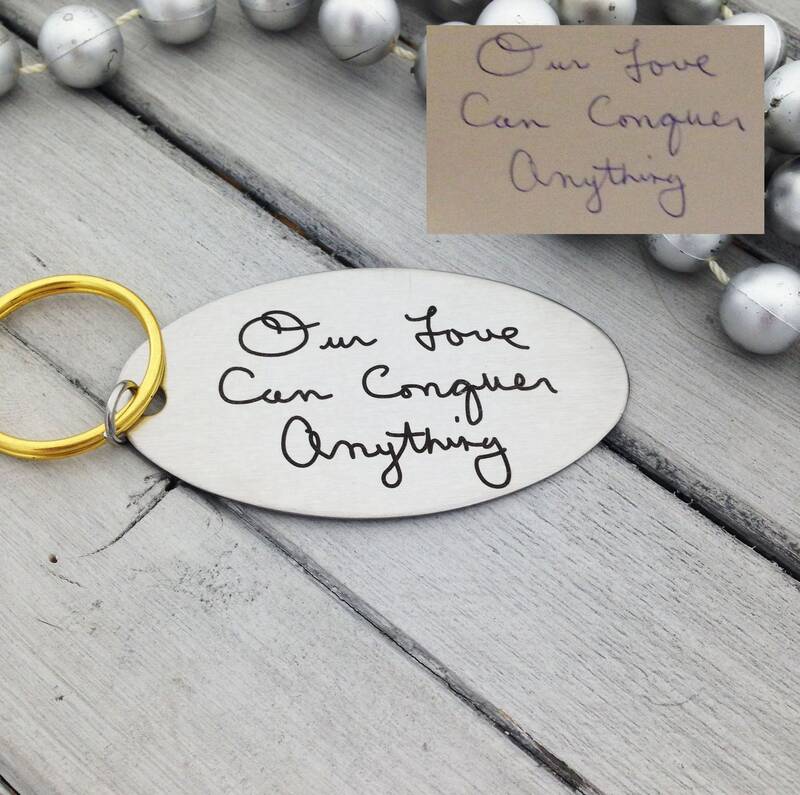 Great personalized gift! Just the right size and not too heavy.